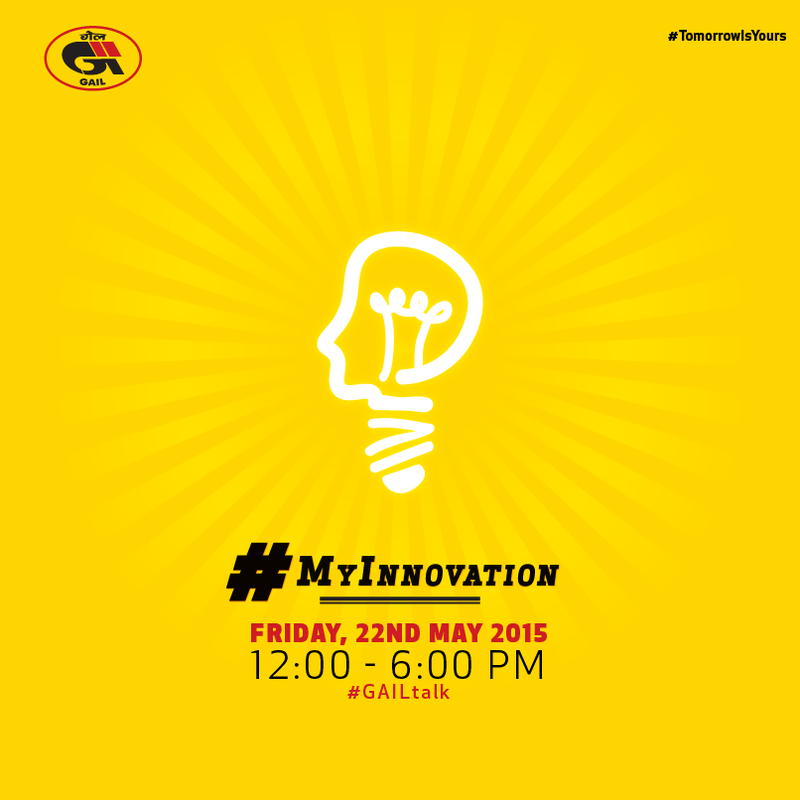 #MyInnovation GAILtalk Contest – Live Now! Innovation is an act of ingenuity, creating possibilities where none exists. It’s not really about science or technology. It’s about Life. When have you innovated in daily life? Tell us and win a surprise gift! 1. In the comments section below tell us how you’ve innovated in your life. How you’ve made something happen by using a unique solution. 2. Don’t forget to use hashtags ‪#‎MyInnovation‬ and ‪#‎GAILtalk‬ with your reply. GAIL acts as a role model in “GREEN ENERGY” in India’s Energy Independence Movement. Analyser House in GCU of GAIL, Pata being used for gas chromatography. It is an incident of HVAC of Analyser House#83 of GCU which was getting tripped very frequently in summer, throughout year it was running, sometimes getting tripped. Vendor was called to check it, few modification was done, first year it worked fine, next summer again started tripping, compressor was getting heated much, again vendor visited the site and found nothing wrong. Solution generated that repositioning of whole HVAC system is required. All systems of HVAC was thoroughly cleaned, but it was all in vain. Being witness of the whole incident for two years, I noticed that condenser fan which was blowing hot air towards compressor side, compressor intake line which generally remains at low temperature was getting heated by that hot air blow as its insulation was taken out by vendor for inspection in first year. After noticing that I asked my mechanical colleague to provide cold line insulation. It really worked!!!! Two year( two summer) passed till now compressor does not trip, it is working fine. I have been posted at Pata for three years. The Summers there are used to be too hot to bear. I highly appreciate the minute observation as narrated above and the efforts put in, which fially resulted in a significant output. ‪#‎MyInnovation‬ ‪#‎GAILtalk‬ The solution was implemented in extending the range of a cordless calling bell. The room from where the cordless calling bell was to work was at a long distance and due to obstructions of many walls & the distance in between the calling bell and the receiver unit. The calling bell therefore was not functioning. The solution was implemented by breaking the receiver unit consisting of receiver & speaker into two parts i.e. receiver and speaker separately. In this way receiver was placed near to the calling bell so that it could catch the wireless signals and then the receiver unit was connected over physical wires to the speaker extended up to the desired distance. This way when the calling bell was pressed, the receiver smoothly captured the signals and activated the sound in the speaker connected over a distance through physical wires. Its the important day of my life when I faced the 2 nd Important Interview after GAIL’s GET interview. The date was 19th Mar 2014. It was the crucial day because My career path is going to change at the end of the day. The interview was for Posting in BD/Marketing department for internal GAIL candidates. I have applied for BD department. Out of 300+ applicants, 35 were shortlisted for rigourous one day assessment by external consultants in the month of Nov-13. Later the same 35 shortlisted were called for the final interview by GAIL senior Management team. I was prepared for it with all courage, confidence and determination. 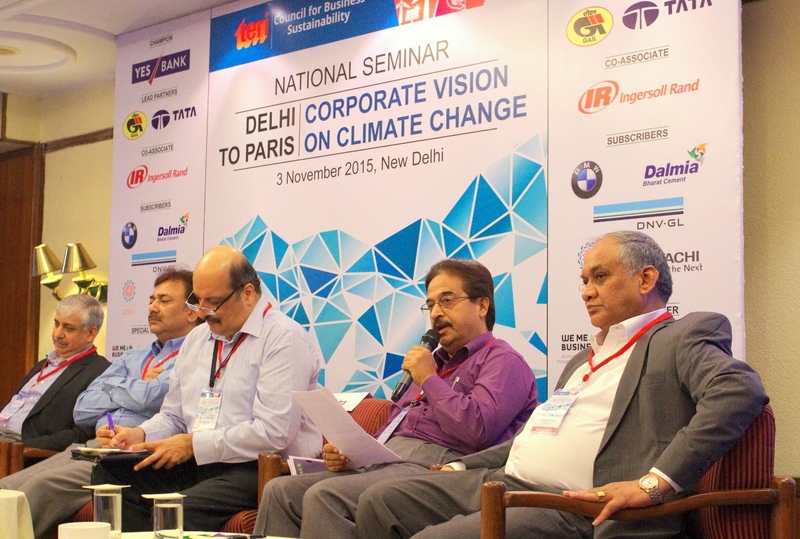 The 6 member interview Panel was headed by Dir(BD) along with GM’s and ED’s. I know that I need to be unique and Innovative to go through the Interview. I also realised that having a BE(Instrumentation) and MBA(Opr) qualification along with 12 years experience only cannot qualify me for the post. Innovation and positive attitude made me win that challenge. It was 14:30 hrs in afternoon, I entered the Interview room i.e) Board room at 6th floor of Corporate office where company’s important decisions are taken. I was little nervous but my Confidence level was high. I faced 4- 5 questions for whcih I answered very positively. But the One question which was decisive one was “Which section or sub-dept of BD will you choose from”. ? I have firmly given to sub-section names. They were :- Sustainability dept and R&D dept. Even though I said sustainability I was keen for R&D. There were more questions from one of ED’s on my interest towards R&D. I replied in one simple sentence “Research is My passion”. The interview was over and I was back to my work center. Then came the day for the results.ie) on 6.4.14, I received the office order from HRD dept. as Manager(R&D) being posted at GAIL- Noida. The success of the story was #MyInnovation in facing the interview with Boldness, Positive attitude, Openness on my passion and Finally the dream towards working in Research and Development dept. Today I am enjoying every day of life with my passion towards Research. Thanks for reading my little story on #GAILTalk. It was a hot summer day at GAIL, Ramgarh terminal when I received a call from control room technician. He said that the Ultrasonic meter reading is fluctuating and flow rate of Gas in pipeline is incoorectly measured. I rushed to the control room to check the vitial parameters of meter. It was ok. Then I connected the laptop to see the Maintenance log and SOS readings. There were showing errors. But the root cause of the problem is not clear from the Error log. Then with a strike of innovative idea, I called two technicans to vent the gas in the pipeline and start dismantling the piping section of Flow meter for internal inspection after intimation to the customer. It took 3 hours to open the pipeing section and it was found that the soft rubber type materials were sticking on the flow straightner. That was due to the last week’s pigging activity of upstream pipeline resulted in the rupture of filter element. Thus by removing the unwanted materials and cleaning of piping resultant in removal of problem. By applying the innovative idea(#Myinnovation) and basic engineering practices, such critical problems can be solved instantly without depending on the vendors or experts saving huge cost of the company. Innovation : Just not Being Science or Materialistic Thing Concern But also include the Way of Living. 1.Effort Bring Results : Positive in any case of Matter to Tackle the Problem and By any How in Fair Means Give the Result and Solution to Problem at any Level. 3. Run-Run-Run : Running is only way to keep you fit and left over all the diseases inside you and make you healthy, fit, joy and enjoy. 5.Communicate in Language in which front one is comfortable for better understanding and efficient & easy working. 6.Portable Bunk Houses ; Indeed Best Option to use in field when you have to fulfill the task at the earliest. 7.Report to any number of reporting officer : Understanding and Mutual Trust is Important. 8.Have Marshy Soil and Need to Concrete Casting : Just use Polythene Below the Pouring area and make you easy to pour concrete and cast the structure. 9.Use Leaves for painting the drawings. 10. Use “Pista” Shells to make the sculptures and art form on paper and thermocol. Overall improvement in life (which includes family members) to achieve the goal & target set in personal & professional life. 1. To have a good family position so that nothing is forced on to family and peace in life. 2. To have a proper health condition & a stable life. 3. Requires a regular physical exercise/activities/Pranayam/Yoga/Prayer. 4. Wife/parents to have a good health and peace in mind. 5. Son to be self sufficient in all respect to become a good/respected citizen of India. 6. Which require Good study facility, health & money. me) happy and support them in all respect for their good job. 8. To achieve a professional status. Fact of Life : “Any un fulfilled desire makes you unhappy”. For example it is a roti you wanted instead of chawal in dinner or it is a case your son to stand first every year irrespective of his un wellness during the exam. 1. Desire No 1 ( Extreme): I want everything in life which is absurd. 2. Desire No 2( Extreme) : I want nothing from this life . The key issue remains “Blending of Individual in family & professional front ” and how every individual innovates something on daily basis in life. 1. Less Information / Knowledge available. 2. Takes away your energy invariably. 3. May be a very bad boss/ subordinate. 5. A bad intra/inter personal relationship. 6. Accessibility to information, less inflow of information/data- takes away your energy. 8. By creating fear, anger, tension. 9. And there are many more like: conflicts , personal rift , difference in opinion in family etc. 10. Bad behavior/attitude – cannot save personal energy. 11. Bad Habits – Surely a waster of your energy. Requested for supply of water in the extended time period which is not accepted by the house owner – leads to conflict between the house owner & the person on rent. Situation no 1 : Grant it and manage the conflicts for the future. Situation No 2 : Do not grant- manage without extending time period of supplying water, convince to reduce the water uses. Situation no 1 : Convince the owner to increase the time of water supply so that your wife does not get angry with you & house owner and get into conflict. Situation No 2 : Get convinced and reduce the water consumption as municipality itself is giving less water supply now a days. Note : this is also somehow linked with your personal management system which can lead to permanent conflict . Example : Dear one asked for an item costing Rs 50000/- by certain time period. Negotiation no 1 : Sanction it , negotiating with yourself/self. Negotiation no 2 : Time extension. Negotiation no 3 : Reduce the budget by 10% or so. Note :Negotiate up to that point where both are happy. This skill is required in every sphere of life, linked with personal management system which may reduce your energy level , if above negotiation goes for 4 – 5 days or long . So quick negotiation is a must. Normally @80 %-majority part of activity – uncontrolled and/or controlled by others & @20%/- Self controlled. This is true Unless sick ( cannot do anything of his own) or taken Sanyash (who does not depend on others) . 1. Required to be physically & mentally fit & stable in normal condition. the case of emergency . 3. To plan for the betterment for both professional and family front. situation in life. This is enhancing the comfort level of individual. 7. Your vision is possibly be achieved. 1. Manage our own value system, positive energy level both physical and in mind . customer can be your friend, family or anybody of your association. society & the system . target and thrive for it. So innovation is for every aspect of life and not just science always to do and solve , may be the approach and concept to apply many a times . But information, knowledge, idea are must and when to apply those are even more important with intension. This is personal assessment may differ with others. My idea is to be open towards new ideas, so that I am more receptive when I encounter something innovative. I am working on Green Odorant which will replace synthetic odorants. Odorants are used to identify the presence of LPG , Propane and any other highly combustible hydrocarbons in atmosphere. These synthetic odorants are hazardous in nature. My innovation is almost complete. Green odorants are ecofriendly materials. If this is successful , It will make a revolutionary change in global market. Moreover, I am working on green pesticides. I really enjoy working on new products based on natures rule. In our organization- Gas Turbine Compressors are installed in number of locations. The fuel gas used by Gas Turbine Compressors constitute almost 90% of energy used in a compressor station. Thus- fuel cost is the major expenditure for operating the GTCs. Hence the operational energy efficiency of GTCs is crucial to optimize the fuel consumption & reducing cost. However-there is no online measurement of running efficiency of the GTCs in any compressor station across GAIL. First time in our organization-the monitoring of online efficiency of individual GTC was successfully implemented at Vaghodia Compressor station on 26th March’2015 under the leadership of OIC/DGM-Vaghodia and a team effort of GREP-Opn & GREP-Instrumentation department. 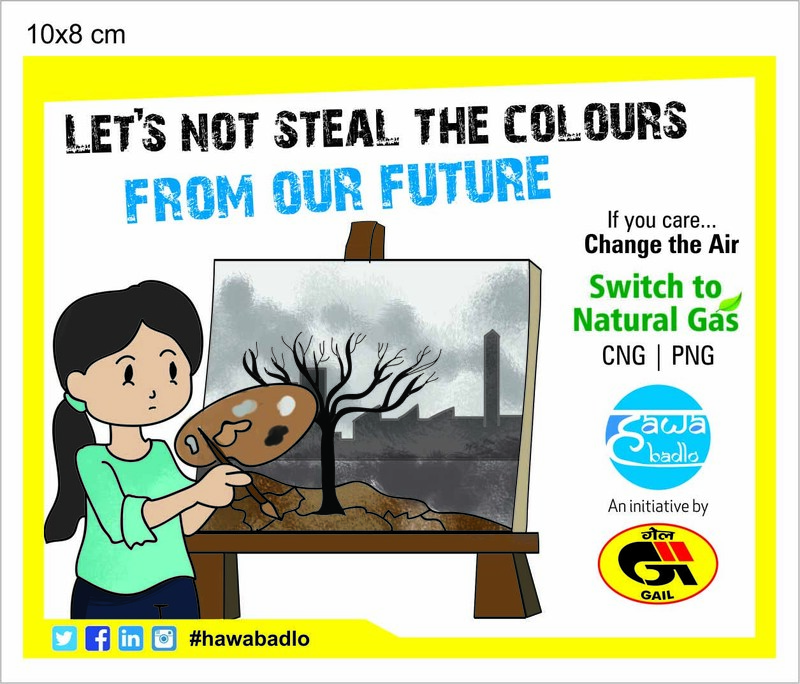 This was flashed by NGMC On 26th March’2015. The idea of calculating online efficiency of GTC was based on an innovative suggestion on “Online Efficiency Monitoring of Gas Turbine Compressor” in Corporate Intranet (Suggestion No: 1123). At any point of time, if efficiency of a machine suddenly drops, it immediately indicates more fuel consumption and root cause can be searched and analysed. This is the primary benefit of online efficiency monitoring. As an example, on 07.04.2015, efficiency of GTC-A at GAIL-Vaghodia dropped from approximately 25% to 20% although all parameters remain unchanged. Drop of efficiency means consumption of more fuel. Thorough inspection in field resulted into observation that the fuel gas Vent line is passing. This was confirmed by physically feeling the low temperature of fuel gas vent line in field. This passing couldn’t be detected so easily by any other means. The lesser online GTC efficiency acted as an effective predictive maintenance tool to create an immediate doubt-otherwise it would have gone unnoticed. The problem was due to malfunctioning of the PLC output relay. The relay was replaced by a new one and the machine was restarted on 8th April-2015 and this time both the GTC-A & GTC-C showed equal efficiency of 24.5% at the same PT speed as earlier (4250 RPM). The saving in fuel by the above corrective action was to the tune of 700 SCM/Hr of fuel gas in GTC-A (saving of 20 % wastage of fuel). So, the cost saving in GTC-A by fuel gas saving (which was otherwise going to vent) is Rs.2.2 Lakh/ day at present APM gas price of Rs. 13/SCM (APM gas price taken $ 5.05/ mmBTUG). In our organization- there are more than 70 GTCs installed where the implementation of online GTC efficiency can thus be used as an effective predictive maintenance tool by O&M. So, the online efficiency monitoring of GTCs should be implemented at earliest in GAIL covering all the Gas Turbine Compressors. 1. Bleed Valve status checking: As recommended by OEM like Rolls Royce-in case of loss in GT efficiency –the GTC should be checked for proper Bleed Valve checking as in present control system for RB-211 system the bleed valve status shown is only “command” by solenoid and not the actual feedback status of Bleed Valve. 2. Water Wash requirement: The present practice is following the 1000 Running Hour or Quarterly water wash (whichever is earlier) for GTCs. But-in case of lesser efficiency an early water wash can be taken in case of suspecting a dirty GG. Since the success in Vaghodia may be replicated at all stations of GAIL- this simple implementation can save huge cost saving ( to the tune of Crores of Rs. per annum) in terms of fuel apart from lesser maintenance cost by maintaining the GTC “as good as new” as enshrined in Corporate Maintenance Policy. Here we would like to emphasize the fact that compressor stations are allocated APM gas for internal consumption-of which more than 90% is consumed by GTCs alone in a typical compressor station. By fructifying lesser fuel gas consumption- we can actually save the precious resource of APM gas & it will be a great effort towards achieving sustainability for the future generation apart from cost saving. The innovation evolved in my mind from the BEE star rating & specific energy consumption displayed in refrigerators, ACs etc .Why not to display the same figures of online efficiency to the GTCs we are operating on daily basis & earning revenues? This had resulted in the innovative suggestion No:1123 in Corporate Intranet & now the innovation is reaping benefits on day to day basis operation of GTCs at GAIL,Vaghodia. Apart from DGM/OIC-Vaghodia & CM(GREP-Opn) -undersigned will like to share the sweetness of sucess with Sh.Prabudhha Majumdar,SM(Inst. )-who has helped whole-heartedly in implementation of the innovative suggestion. I keep my refrigerator in slight tilted position inclined in the direction of handle, so if by mistake I leave the door open , it automatically closes by gravity. Energy Saving !! My house is 2 storey, so it was not possible for us to view the level of water in the tank. There was always overflow of water which i didnt like. Not only the clean water was wasted but also it get collected on roof top which look disgusting.It is of time when I was in class 7th. We had just started the topic of lever and pulley in our science class, so I got an idea and I developed a overhead floating mechanism which could automatically shut the motor off using threads, pulley, aluminium sticks. Now whenver the water reaches the brim the ball would rise and through rod inside the tube(meant to keep it in vertical position) the stick touch the top which turn off the motor. As soon as the motor stops my mother would come to know that tank is full and she would manually turn off the switch at bottom so that motor does not start once the ball comes down. #‎MyInnovation‬ ‪#‎GAILtalk We were receiveing files through couriers and speed post. These files when reached the department were in pathatic condition. Almost all the confidential files were found in open condition. The issue was raised and taken up with central dak receipt/ despath detartment, Indiapost, courier companies but none was ready to owe the responsibility of maintaining confidentiality of the files being delivered through courier / indiapost. After giving so may thoughts we procured “Tamper Evident”poly packs and started packing our confidential files in the same. The results were very encouraging. The simple use of an extra temper evident pack not only provided stability to the files packed inside but also ensured that in case the files and tempered intentionally the same will not go unnoticed. These temper evident packs are special poly bags which once packed and sealed cannot be just opened. In ordet to open then the pack needs to be torn and thus cannot be repacked using the same poly bag. A simple innovative use of “Tamper evident”poly bags gave us confidence for confidentiality of official documents during transit. We have three HRSG boilers in vaghodia plant.out of which two are running and one remain standby.The design capacity of each boiler is 26THP .Four (2W+2S) numbers common boiler feed water pumps are installed at HRSG Vaghodia to supply feed water continuously for two boiler drums in running as per original design. PCV-02 @ set point of 2 to 3 kg/cm2 more than drum pressure. Hence major part of energy utilized to run two numbers(2) BFWPs is going waste as losses with out any use. Majority of the energy losses is due to running of two BFWPs at part load and associated recirculation of feed water. Hence we decided to Supply feed water to two(2) running common HRSG by operating one BFW pump at full load instead of operating two (2) number BFWPs at part load . We maintain suction pressure of BFWP @ 0.5 kg/cm2 and temp 105 deg.C . In this way by optimizing BFP operation resulting into less energy consumption . and incremental profit of the HRSG plant. Due to this we have achieved saving of 65 lakhs per annum. We mostly travel by railways .In our country more than thousands passenger train are running.We always notice in train the people carry food items in long journy. After eating foods many people throw wasted food and its packing outside the train .However the dustbins are provide near toilets but in some train we didint found even dust bins also. This gives me lot of irretation when i see people thowing waste oustside the train.At one place we are creating awareness of clenliness and swachata abhivan.and here in train we are throwing waste outside in bad manner. This brought me one innovative idea of whenever i jounry through train i carry enough polythene bags .when i board a train I distrubute to the other passengers and ask them to please collect all waste into this bag and drop it at platform dust bin . Due to this at least in my rail coach people will not throw their waste outside the window. This gives me immense happiness when people do it by making our place clean and healthy. Back in my college as secretary, NSS, an idea struck me. Earlier, after exams a lot of A4 sheets were wasted or given as scrap (Raddi). Usually lots of these sheets are printed on single side. We contacted administrative building and all academic departments and urged them to use the sheets for their informal use. One fine day, we urged students (through facebook) to pile up their useless A4 sheets and leave the pile outside their doors. Our volunteers collected it. We then put aside sheets with 1 blank page and properly bundled them. We supplied the sheets to various departments. We received an overwhelming response from both students and faculty. The one sided sheets were majorly used for printing research papers by faculty and research students. Administrative department used them for notices which were pasted on department and hostel notice board. We as a whole team at GAIL(INDIA),G.KOnduru modified the 2″ pipeline dia to 3″ pipelie of mass flow meter line at HPCL receiving terminal as a result of this we are able to stop the back pressure and our day dispatch is also increased.Here one is a safety aspect where we ovecome back pressure problem and as a increase in dispatch quantity gail profit also increased. In TOT G konduru HT power supply was to fail very frequently, we had different problem like HT breaker trip, failure of Lightening arrestor at HT yard. Electrical departement had brain stromed at all level from ground technicians to officers , how to over come this problem. We have checked the earthing system , cable megerring from yard to HT panels, in which it has found the earthing system in HT panel was not proper and found loose connections then we have tightened all earth connections and earthing pit conditions also improved by providing high conductive back fill materail , there after we had suceeded and there is no failure after this correction. Now our team has been released and concentarting on other works. In TOT new pumps of make M/s Clyde Union was installed with VFD drive to enhance the production during over of period of time after commissioning , in one of the VFD drive identified heat dissipation from the bridge rectifier diode by means of thermal immaging, we have checked it tightness found very loose, inspite the connection was tighted in factory and marked on bolts, therefore it was rctified by tightening and saved from major breakdown. We have called Motor manufacturer of M/s Marelli services , it was indentied that winding connection to terminal block from the bottom of terminal board was found it was not properly crimplled/ tightened at factory and generating heat as result cable insulation was getting melted. The terminal block was completly burnet from inner side and same got replaced. After replacing we have checked the connection on full load and found the cable terminal lead temperature was gone max upto 47 centi grade. Hence, it is a lesson to learnt that we should not relaible on factory test, once agian it shall cross check at site. Overall by carrying out the predictive maintenance we have saved the equipments ie VFD & Motor 430KW from major break down, also saved the company production. AFTER VARIOUS CORRESPONDANCE AND MEETINGS WITH ELECTRCITY BOARD THEY HAD CONVINCED TO PROVIDE DEDIACTE POWER SUPPLY WITHOUT MUCH INTERRUPTIONS TO GAIL BOOSTER STATION. In Booster station we had checked the earthing sysytem and its resistanc connected to Field equipments and panels, in which we have identified the some of the field equipemnts resistance were very abnormally hidh ie more than 25 ohms, we checked the root cause for higher values and found at some locations there was no earth continuity and some disconnected from main grid. To resolve this issue, we had laid seprarete earth strip and connected to these equipments and brought down the resistance below 1 ohm. Normally it will be checked the condition of earth pits and grid resistance only. I suggest to check the condition of earth resistance the earth conductor connected to the equipemnts and field instruments. RGPPL LNG terminal was having the 2 nos.of Nitrogen Generation package of 80Nm3/Hr each. Each package was equipped with TAMROTOR make imported Marine Screw compressor to compress the air. The DE and NDE of the drive shaft and driven shaft of the screw compressor have bearings of type SKF 7311 and SKF 7308 with polymer cage. The bearings were used to worn out in 6months leading to abnormal souns and damage to the rotors. Each compressor was costing around 10,000Euros. We have observed that the root cause of the problem was due to fast worn out of the polymer cage and the balls are coming into contact with each other there by causing bamage of balls and the rotor. We have contacted the compressor OEM and no positive response was received. As an innovative measure, in a few time we have replaced the bearings with indegenous bearings with brass cage and the compressors are running smoothly since last 1year with No abnormal sound, no vibration and no reduction in compressor output. This has helped us in increasing the machine availability and and reduction in spares consumption. We all know that in India a major portion population lives in village and are involved in agriculture. But their contribution in GDP is very less. If we are able to export all type of crops (Including cash crops, Medicine plants, Fruits, flowers, plants etc.) then we can balance our BOP. When our BOP will positive or negative BOP will be very less, no dough our currency value will go up, and all foreign investor will faith in our economy. Our growth rate will be high, living standard will go up, per capita income will go up, % of poor will decrease , Per capita income will increase, Saving & investment will grow up. In present education system IA, BA, ISC, BSC these courses are being offered by almost all govt.schools & colleges. We know that at village level people do not do higher studies; they drop their study after 8 Th or 10 Th. Because previous experience says that after passing BA, BSC no person can use this study in his real life and earn profit/benefit. No dough they be will called educated but if they do not want to do job on this basis and they like to live in village with this parental business agriculture ,Live stock then how can BA, BSC will help him in his work. I want to say that present government educational structure is not directly correlated from giving job either implementing these studies in their life. 1. Government should appoint one or two agriculture, live stock, Plants, Flower, Medicated plant subject related professors in all govt. colleges & schools. 2. IA in agriculture & live stock & crop insurance, BA in agriculture & live stock & crop insurance courses should be launched in all govt. schools & colleges. 3. In all government primary, high schools these subjects should be added as vocational paper. 4. At block level some innovative farmers should be identified who can surely illiterate but they are highest crop producers ,live stock maintainers ,Bio gas producers they should be invited in colleges as a guest lecturers For sharing ideas of heavy production, Maintain live stock, making bio gas. 6. !00 / 200 hours research in this courses be compulsory in the field of a group of innovative farmers of nearest village. Innovative farmers will sure help because they will get some money, social recognition, there recommendations will be given weigh age at the time of admission of students. 8. In these courses benefits, real premium of insurance of crops, live stock, should be highlighted with practical examples. This can be done by professors but if they do not know about process, premium of insurance of crops, live stock then at district level they should be given training by Insurance company officers. People assume that crops are subject to god. But after insurance they will know that they will be compensated by insurance company if It is drought, flood, There confidence will be build up. 9. In this course agriculture of flowers, medicated plants should be also highlighted. 10. Agriculture should be a complete & profitable business. 11.If some district is facing with drought then they should be highlight such types of plants, crops, medicated plants, which do not need water, and such area which is flooded then such plants, crops should be highlighted which requires much water. For this postman’s should also trained by development programmed, there should be some incentives for them for this work. 13. Courses should be deigned region wise according to environmental changes that affects the different type of crops, vegetables, fruits, plants. A group of agriculture scientist will develop course material for different region. 14.Courses should deigned in such manner that after studying them a unknown person can also know that in which session which crops can be produced, types of threats for particular crops, market where they can sell their product, storage requirement. 15. In this way % of education & production of agriculture base products will increase and ultimately our GDP will increase. 16. Insurance of crops, Live stock should be the basic criteria for granting loan for agriculture, Kisan credit card by Banks. Degree of IA in agriculture & live stock & crop insurance, BA in agriculture & live stock & crop insurance should given weight age for Agriculture loan. 18. Agriculture loan should be easily available. Storage space should be created by Government. One day my tv remote was not working. I went to market and purchased two AAA batteries. When I cane back I found out that it needs two AA batteries. Innovation I did is I just added aluminium foil between AAA batteries and empty space in remote. 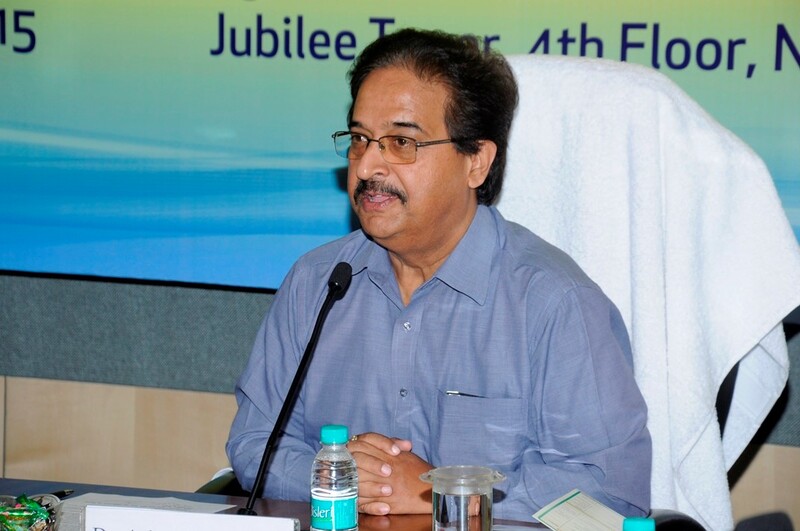 My Name is B P Singh, and I am currently ED (OSD to Dir Proj.). In 1991. I was entrusted with introduction of CNG in the automotive sector. At that time nobody knew what is CNG or how to use it in automobiles . In February 1992, I was invited by the Maruti Udhiyog Limited to convert one of their car to CNG at their works. When I reached there they offered one of the Maruti 800 car to be converted to CNG. Because of less space it to time to design the gas air mixer which was to be fitted between the air filter and carburetor. But in the end we could make a slim gas air mixer. When the car was started, we heaved a sigh of relief and with few adjustments, we could optimize the performance on CNG. The Maruti 800 is a small car (with 3 cylinders) and any problem will result into noticeable power loss. Fortunately our gas air mixer did not create any problem and we could run the car without much power loss. Till this day, I clearly remember the efforts made in converting the initial cars to CNG, which formed the backbone of CNG Operations during the initial days. In GAIL Colony at CBD Belapur Mumbai, I had replaced all CFL/PL Lights (24 Nos x 18 W Twin Type) in Parking area with 15 W LED Lights(Single Light) which provide almost thrice the illumination and consume only 1/5th the Energy / Unit of illumination. This innovative use of LED Lights had resulted in substantial savings in Energy costs for the company. I had purchased a new house at Mumbai one and a half years ago. Till date I had lived in houses (both GAIL Colonies /outside homes) illuminated by old fashioned CFL Lamps / Flourescent Tubelights and also old type ACs (Single star rating), consuming a lot of Electrical Energy. For my new home I decided to provide only LED Lights / Inverter type ACs / Refrigeraror. Although the Installation Cost was almost 10 Times higher, I found that my Monthly Electricity Bills had reduced by almost 50% for the same use of Lights/Fridge/ACs. Even the Quanities of AC in the new house was Higher (+1) and the Fridge was of Much higher capacity than the one I had, the Energy Bills had redcued substantially. Earlier my Average Monthly Bill was in the range of Rs 6000/-. Now it had reduced to an average of Rs 3000/-, which amounts to a net average saving of approximately Rs 36000/- per year. Considering a Payback period of approximately 2 Years, still I would stand to benefit substantially on Energy savings in the long run. I joined at G Konduru in 2013 as WIC, and since then approx. Rs 1.3 crores of civil jobs are done without a civil engineer posted here. Earlier in 2010 till 2013 SM (GAIL TEL ) was looking after Civil works and since 2013 till date SM (Electrical) along with other electrical engineers are preparing estimate, WO, SCC,BEC, and certification after work completion. They prepare estimate from DSR book. What a Innovation IN GAIL. The jobs includes a new Occupational health center building, renovation of Conference rooms, installation of concertina coil, Increase of SV boundary wall. Repair of all SV buildings and project left over civil works at site. This is about SV 17, VSPL, G Konduru region. 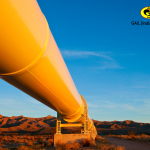 Sectionalising valve station in GAIL is a very critical element of GAIL Pipeline safety. It’s valve is operated thru RTU from remote and hence has a battery, communication, UPS, SCADA, power signals associated, which is inside a building. The equipment in the building are protected by CO2 extinguishing system.CO2 system can deluge only if Nitrogen triggers the CO2 and also OPEN the DV of each room. Similarly Hydraulic power unit of SV in VSPL, pressure of oil (190Kg/cm2) is critical to operate the SV. Initially only a pressure gauge is provided for Nitrogen and SV oil pressure. Due to this the O&M person sitting at remote control room is not sure/aware of the healthiness of the system and whether it shall operate during emergency. INNOVATION: A piezo electric type Pressure transducer is now connected instead of the pressure gauge in both HPU oil and nitrogen pressure. New cabling was done, new database and was created in SCADA and NOW the pressure of SV- Nitrogen for CO2 and HPU oil pressure is indicated online in SCADA at SV 17 thereby giving confidence to our O&M. This is achieved at just Rs 13000. PILOT project completed. In Bangalore, most of the households are dependent on bore well water, & the hardness of the water was an issue, as it effects the quality of washing, bathing, cleaning etc. 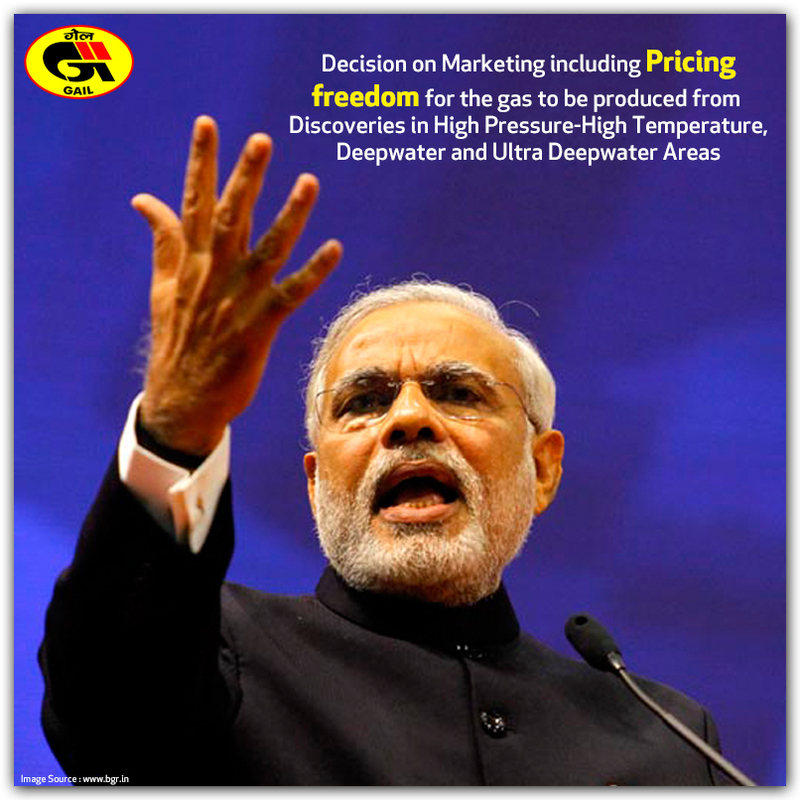 On enquiry, the cost of Whole house in-line Domestic water softeners was observed to be very high, in the range of Rs. 30,000/- to Rs. 45,000/- (supplied by Kent, Ion Exchange, etc. ), and appeared to be exorbitant, keeping in view the simple functioning of the water softener (i.e. pass hard water through a bed of cation resin beads, which exchanges Calcium & Magnesium ions with Sodium ions resulting in soft water, as per information gathered from the internet). Attempted to make at home a small water softener after sourcing/buying ordinary 10” filter housing, plumbing fittings, PVC pipe, resin etc. and succeeded in making a small 10 inch water softener which was connected to the water inlet of the solar water heater, and observed considerable difference in the water hardness. Subsequently, bought 2 nos. 20 inch ordinary filter housing and carried out necessary modifications, i.e. making a riser tube with bottom filter & PVC pipe, threaded connections, rubber washers etc. and a water tight connection inside the filter housing, to ensure that hard water flows through the resin beads and softened water comes out through the riser tube outlet. Fitted the 2 nos. self made softeners to the 2 water inlets into the house from O/H tank, thereby ensuring soft water supply to the whole house. Provision for recharging the resin with sodium ions was also provided in the plumbing circuit with bypass arrangement. The total expenditure for the above arrangement cost me only around Rs. 5,000/-. PERSONAL: In our petrochemical department we used to manually check the Consignment Stockist (CS) agreement which is a legal document with the ones submitted by all the consignment stockists (4 in nos in Mumbai zone). This had chances of error since one person used to manually read the ideal format in print out form and other used to mark the changes if any manually in other print out submitted by CS. Also it required double man power and lot of time/ efforts. Being from IT background before my MBA (JBIMS), I was aware about the software called “Read Please”. I installed this trial version online with the permission from BIS and copy pasted the ideal format in it. The software automatically reads the contents and one has to just check it against the submitted print out by CS by using earphones plugged in PC. The job was reduced to single person now and could be performed more accurately with this software. Further I used other tools like WINDIFF, WINMERGE, DIFFNOW, to compare two files or directories on the go on a windows based platform. Further being in Polymer business and since back end ERP is fully automated in SAP, there is lot of data which is extensively used in day to day activities in MIS to be used internally or to be given to CO etc. Since MS Excel is extensively used and some of the critical discounts are to be prepared and checked manually.I used and mastered EXCEL formulas like SUMIF, SUMIFS, VLOOKUP, HLOOKUP, PIVOTS, COUNTIF etc for automation and reducing errors.Further I used smart art graphics and new features available in MS POWERPOINT 2000 to make innovative and creative PPTs to be delivered to top management. I have fitted CNG in my vehicle and used to regularly pool the office colleagues in my area while coming to office and going back home. Suggestions: Sensors could be used above workstations which will be auto ON / OFF based on whether employee is stationed at his seat or away. This method is already used in most of offices for saving electricity. Also in glass based offices one can make use efficient use of solar energy for internal lighting. Also car pooling should be encouraged for reducing pollution and congestion on roads. Cars should have auto sensors installed in front to avoid accidents. It was a time 1994 , I was posted as pipeline construction engineer in GREP pipeline project. Some of the the pipeline lengths were passing from tough terrain of Chambal area. That time, there was too much pressure on quality issue of the pipeline rather than just quantity. That time director project Sh Bhuddhiraja was too much concern with the quality of the welding joints and develop some time-temperature formats to be filled by the site engineer for every welded joint. He randomly visit the site even without informing to site project incharge so as to ensure that all the people on site are alert and on the job. One fine morning, I was just filling up the time temperature format on line welding and I found that lot of vehicles are being parked at welding area. Sh Budhiraja came to me and enquired by all means weather I am filling the welding time temperature format correctly or not. He just take out the infrared temperature measuring gun from my hand and ordered me to the calibration certificate of the temperature gun, just to ensure that it is showing the correct temperature. In fact we did not do the calibration since last 4 months. I could not show him the calibration certificate and he was very much annoyed with the fact why the regular calibration of the temperature gun is not being carried out through lab. A idea click in my mind, I just pointed out the temperature gun toward my hand and the temperature on gun was measuring 39.2 degree centigrade. I told sir, see human body temperature is between 39-40 degree, the gun is showing the correct temperature 39.2 degree centigrate. Do you still require calibration certificate from the lab? He smiled , and amazed to my presence of mind and innovative idea for calibration of temperature gun by human body. After construction of GSPCL terminal it is found that there is no Telecom link as well provision for SCADA system is available to monitor of huge supply of Gas from Petronet LNG P/L at Dahej . Just after start of operation the requirement become of urgent nature to monitor Pressure , temp and flow etc .Then a temporary solution was worked out to take data from Flow computer to Dahej RTU through OFC . Later same technique was implemented to connect GAs chromatograph to flow computer at Ankot , Samni for very first time to update on line data required fort accurate gas measurement. 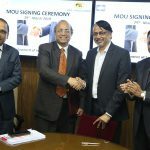 #Myinnovation #Gailtalk When the project of gms started we could connect all pabel mounted fc to SCADA but for remotely operated FC where there was no RTU & only solar power ,with slight innovation in register gathering and simulation in FC I could connect all remote solar powrred FC to SCADA & GMS in 2012 . Later it was shared at other locations and hook up was done. Now my next phase of innovation is on the way of GPRS technologies in GMS. #Myinnovation #GAILTALK when I was posted at Aonla,which is largest consumer of NG in GAIL; after pigging pcv had lot of problems . In year 2008 by innovative idea I put a scale along the guide of PCV( mind it that this pcv was huge 8″) and scaling inficated the exact opening of pcv which inturn gave me exact tine for maintenance. Thus this exercise saved plant many times till new pcv was installed. It was not so easy ……to disconnect the gas supply to one unit and get appreciation for it from another unit who knows that they might be the next in the queue for disconnection. It seemed almost impossible. With the rate with which stock losses in the region started rising, all the efforts to control it appeared very little. 25 times away from the acceptable benchmark figures, no-one of us could have ever imagined to bring down the stock loss from 8% to within the limits +0.3%. Even in our dream we only hoped that with our best and sincere efforts may be we shall be able to bring it down to about 2%. With pressure mounting from all the corners and all eyes gazing at the increasing stock loss figures, the situation was not only tense but unbearable for all of us. We almost started feeling guilty in our own self and could not think of any other alternatives to sustain our battle against the enemy. When the memos & explanation started coming, we almost felt that the battle was lost and as if we were standing alone in the battle field with no backup support. –	To fight the lost battle. –	To maintain our calm & remain together. –	To fight with the inherent system inefficiencies. –	To fight the cases in the courts. –	To be able to explain our own seniors that we are putting our best efforts. –	To keep our morale high in spite of all the adverse situations. –	Even to dream that we stand any chance of winning. –	Hours of persuasions and arguments with the customers as well as the management. Above all it was the team spirit exhibited by each individual that helped us sail through all the rough weathers and win the battle against stock loss. The story aims to present and share the steps taken and experience gained in controlling the stock loss and preventing meter tampering in the region. 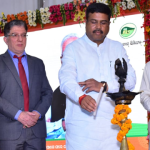 It shall be useful for all where GAIL is supplying gas to such small and medium enterprises and in city gas distribution business. INNOVATION IS NOT JUST ABOUT DISCOVERING A NEW PRODUCT OR A PROCESS BUT ALSO DISCOVERING AND IMPLEMENTING A NEW WAY OF HOW WE LOOK AT AND DO THINGS. Finally The master OFC converter was then again connected on the back of HMI PC on RS 232 to enable gather/poll of 5 Km away process data on local control room HMI at TOT, GKonduru, VSPL. BY having direct interface all the live trend, history, report, event log is possible in real time. A very cost effective solution without SCADA/RTU routed thru NCR. In regional P/L FC data of various customers were connected for SCADA data through dial up communications through telephone line / mobile comm.. However this has constraint of poor reliability to capture the data and involves huge time for frequent dialing and re-polling the data when comm. is interrupted or modem gets hanged. During my posting at GAIL Gas Noida with assignment of City Gas Distribution work at Meerut. Since the project work in conceiving stage, various decisions needed to taken up. GAIL Gas has to arrange the land for CNG Station and other purpose. We have surveyed the city. Interacted with the authorities but could not find the land. One morning, we observe advertisement of auction of commercial land local News Paper. Possibly this was the 1st case for GAIL (India) / GAIL Gas Ltd. to purchase land through auction the matter has been put up for approval and the Meerut Development authority has been contracted. 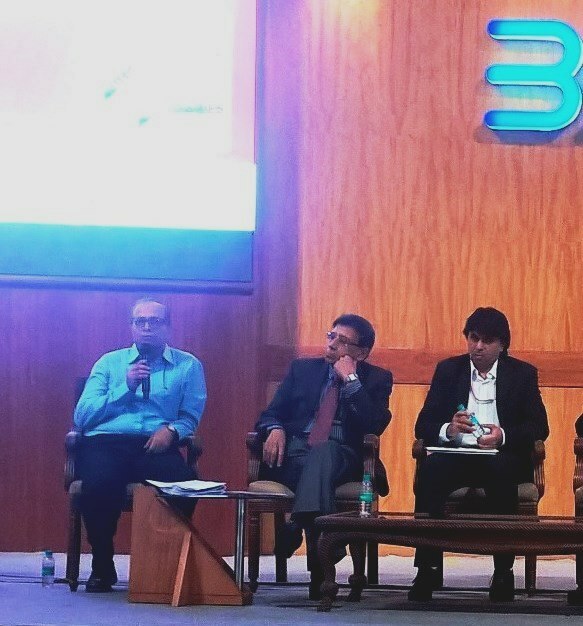 Gail Gas team could materialise purchase of 3 Nos. commercial plots for City Gas Distribution work at Meerut at 15 Crore Rupees. The opportunity & the possibility have been materialising. c) auto mail alert in case of PO could not be placed within scheduled time. I would share my experience while carrying out the pipeline interference maintenance, to locate the pipeline for excavation the pipe locator gone out of order, it has complete the job on same day as it was very urgent, since locator was not working so very body got worried how to locate the underground pipeline then the local contractor given hint to locate the under pipeline with the help of two welding electrodes, then I have given clearance to identify the pipeline, by holding two electrodes parallel and moving towards pipeline , as it was approached on the pipeline the two electrodes got deflected, there we had excavated and exposed the pipeline and completed the job. Hence it was suggested to go for new PLC and PC based new operator workstation for entire DT at VSPL, Vizag, the estimate by OEM was approx. Rs 60 lacs. It was suggested to go for in-house SCC with latest state of art infra and open tendering. The outcome was very fruitful and entire job was completed in just approx. Rs 35 lacs (including PLC + HMI +PC+ platform). I would like to share my experience for refilling of nitrogen 4.5 litre cylinder from 50 litre cylinder. In VSPL – G.Konduru, CO2 flooding system is installed in powered SV stations. nitrogen cylinder is used as pilot cylinder for operation of CO2 flooding system in case of emergency. In Vijayawada region, there is no such facilities for refilling of nitrogen cylinder. Every time, we send N2 cylinders to Hyderabad for refilling, Moreover, vendor will take more than 15 days for refilling and transporting of cylinders with high cost. Then, we discussed and brain storming with Sr.officers and technical persons for refilling of 4.5 litre cylinders with adherence on safe operating procedure norms. According, I arranged one high pressure flexible wire braided tubing, high pressure regulator, NRV and vent valve for release of line pressure. In our stock, 02 nos. spare nitrogen cylinders are available of 50 litre capacity with pressure upto140 bar. However, our requirement is only 50 bar pressure in nitrogen cylinder. Firstly, we connect pressure regulator to 50 litre capacity cylinder and outlet point of regulator will connect to one end of high pressure tubing and another end of tubing will connect to nitrogen cylinder (4.5 litre capacity) with provision of NRV & Vent valve in between. The valve of 50 litre nitrogen cylinder will slowly open and check the inlet pressure of main cylinder. Again, adjust the regulator slowly with pressure up to 10, 20, 30, 40 and 50 bar with transfer of nitrogen gas to the 4.5 litre cylinder slowly with the help of regulator and observe the leak through soap solution. If any notice of leak, then close the main valve and open the vent valve for release of gas of tubing. The method is safe for refilling of cylinder without delay or send outside the city for refilling.